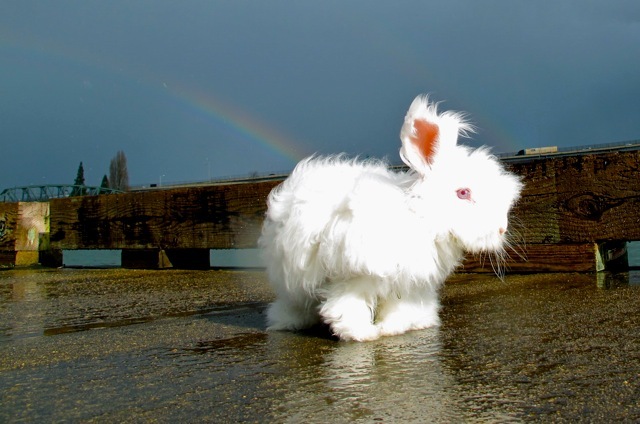 potentially nervous: nuage overexposes himself as he fights this rainbow's attempt to turn him into a pot of gold. nuage overexposes himself as he fights this rainbow's attempt to turn him into a pot of gold. after all, rumor has it that sai baba protects the chosen ones from wealth. Good to see you guys again! Is his leg ok? Is he ok? Are you ok? glenna, you sweet thing! thank you for asking! we're ok. his leg seems to not bother him at all. but his tumor is getting bigger. i posted about it above this last post. i hope all is well with you and yours! !